It is mission critical for an employer to be in compliance before a Department of Labor audit or a lawsuit over denied benefits. By then, it is too late. We are your go-to specialists for ERISA compliance. We know what question to ask, what documents are necessary, and how to prepare them to fit your needs. At ERISAPros, we don’t sell insurance or any other products – just ERISA compliance services and documents for health & welfare benefits plans. We’ve made ERISA compliance simple and affordable. At ERISAPros, we are your go-to-specialists for ERISA compliance services and documents for health & welfare benefit plans. It is critical that employers be in compliance and we know what questions to ask, what documents you need, and exactly how to prepare them to fit your company’s needs. We make ERISA compliance simple and affordable. Regardless of size, almost every Employer and Employee Benefit Plan is subject to ERISA and is required to meet government regulations. 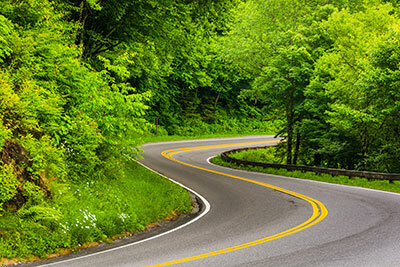 We offer solutions for each road on the compliance journey – Wrap Plans and Summary Plan Descriptions, Form 5500 filings, and Premium Only Plans. Our solutions range from full service consultations to self-service, web-based products. Our team will guide you to the best solution. To be honest, your product is more thorough than I could have ever hoped…For the complexity and volume of work that this project entailed, this is impressive. Susanne Baskin, Benefits Manager, MATRIX RESOURCES, INC.
…it was an absolute pleasure working with you and the process was so easy. We are very pleased with the decision we made to retain the Platinum – Wrap-Tight sm services of ERISAPros…The discovery process that you and your team performed on the front end to learn the details of our plans was crucial to the success of the project. We work with a number of vendor partners through our distribution network so I have seen various levels of professionalism and customer service. I can honestly say that ERISAPros has been one of our best relationships due to their expertise, follow through, professionalism and overall responsiveness. We continue to expand the ways in which we work with ERISAPros as they now have a proven track record with our producers, who have very high expectations with any service they recommend to their clients. Suzanne Spradley, Senior Vice President, Chief Compliance Officer, Associate General Counsel, NFP CORP.
We have used ERISA Pros for many years to prepare our Cafeteria Plan documents. They are very thorough and detailed. They provide great customer service and education through every step of the process.